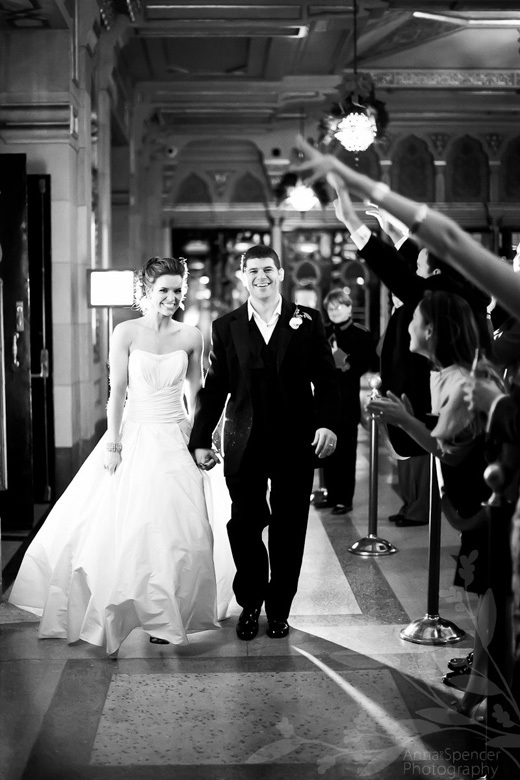 2011 was an incredible year for us, filled to the brim with pinch-me moments and an overall sense of newness and adventure. We moved into a new studio space here in Atlanta at the Goat Farm (yes, there are actually goats… and chickens, and roosters, and a big fat turkey! ); had work published in places we could have only dreamed of; collaborated with so many uber-talented vendors; and were blessed to work with brides that had impeccable visions. We grew so much creatively, which we hope you will see on our new site. A special thanks to all of the photographers (you know who you are), who just know how to take a gorgeous photo. You have allowed our work to last forever in a beautiful way. And of course, to all of the brides + grooms who have been nothing short of spectacular: we sure are lucky to get to call this work. 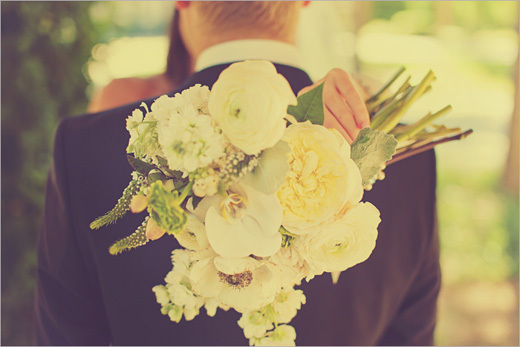 We can't wait to finally share your weddings on our new blog! Thank you to everyone who wrote us love notes, followed us on the interwebs in some shape or form, told their friends about us, and helped our business grow into what it is today. We are in total awe and feel pretty darn lucky. Thank you so much to the lovely Meagan Gibson for designing the website we've always wanted. We finally have a site that is a true reflection of our brand and who we are as designers. If you like what you see and need a site designed, Meagan's your gal. 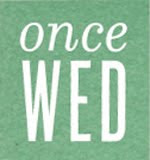 We hope the website + blog will be an inspiration to you, to your friends, to your clients. 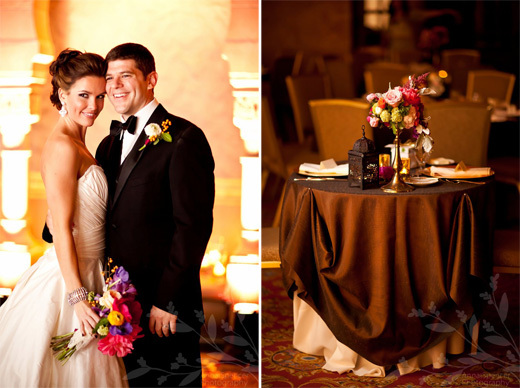 We promise 2012 to be chock full of all of the weddings we have been holding onto, so please come back and visit us! Amy + Rick on Style Me Pretty! 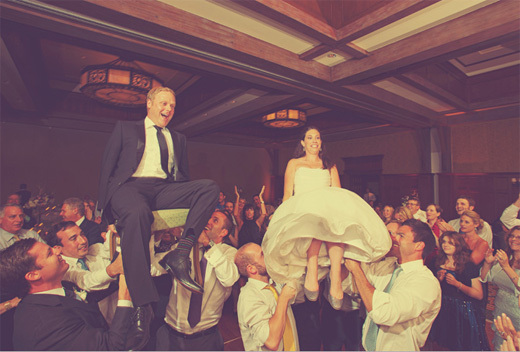 Hop on over to Style Me Pretty to see the gorgeous wedding of Amy + Rick at Ventanas this summer. Thanks to Alan Friedman for capturing all of the loveliness, Sashay for coordinating the details, Sterling Cinematics for making an awesome video, and Amy + Rick for being a pure joy to work with. Mazel Tov, Y’all! 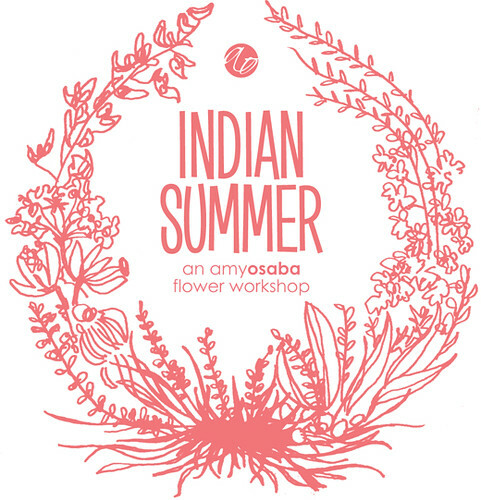 Announcing INDIAN SUMMER :: an amy osaba flower workshop! We are so excited to announce the first in a series of floral design workshops, and you are invited! Drawing inspiration from fiery sunsets and warm evenings ‘round the campfire, this inaugural workshop will give students the opportunity to create a lush tablescape, styled with found objects and locally foraged botanicals. (Follow our Pinterest board here!) 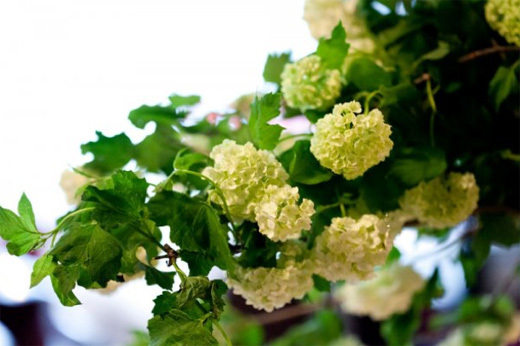 At this workshop, you will not only learn some of the basics of floral design, such as flower identification and composition, but you will also learn how to implement some of our signature touches, from creating charming vignettes using vintage vessels, to incorporating local foliage into your arrangements and creating a centerpiece with movement and balance. Party throwers. Designers. Wedding planners. Forever students. You name it! 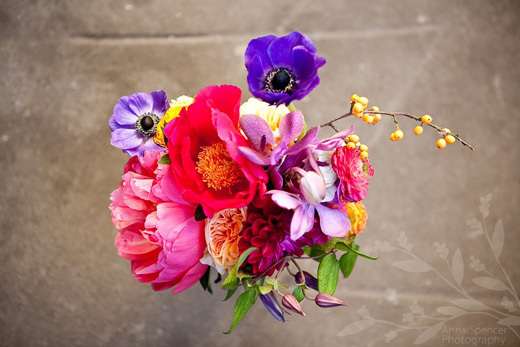 Whether you are a beginner to floral design or a seasoned professional who wants to learn a new style, we’d love to have you. 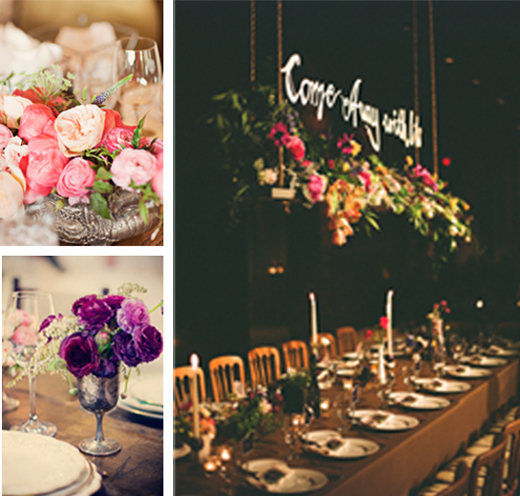 For those of you who are new to this blog, and may be unfamiliar with Amy Osaba event.floral.design, we are a full event design company with an aesthetic that is organic, free, and a twist on the traditional. Click here to see more of who we are and what we’ve been up to lately. This is going to be such a fun day! We will start the morning with cupcakes and coffee (after all, its never too early for cupcakes, especially when they are provided by Sun in My Belly), and soon thereafter we will explore the grounds of the Goat Farm for inspiration and pretty foliage to use in our arrangements. 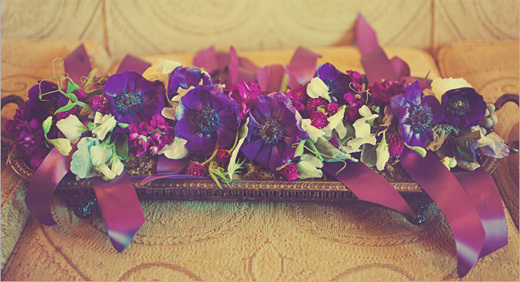 An array of freshly cut, gorgeous flowers will also be provided to choose from. After the morning’s lessons, we will enjoy a delicious ‘sack lunch’ (again, courtesy of Sun in My Belly). In the afternoon, students will learn how to create a gorgeous tablescape, while also attending our version of mini ‘arts and crafts’ workshops in the spirit of the Campfire Girls! Now this is where it gets even more (!) exciting. At the end of the day, amidst the gorgeous sunset (and hors d'oeuvres and cocktails! ), you will be guided by sought-after prop + wardrobe stylist Ginny Branch Stelling in setting up your very own photo shoot! [You may remember seeing some of Ginny’s styling work here. To top it all off, your work will be photographed by none other than the lovely Heidi of Our Labor of Love! If you read this blog at all, you know how much we love Heidi. 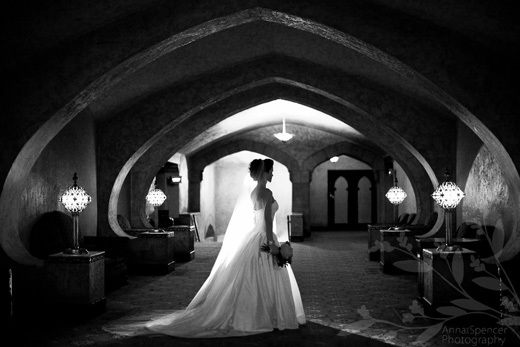 Not only is she one of the most accomplished photographers in the wedding industry, she is super fun to boot! As if that weren’t enough to make you want to sign up today, each student will also go home with a special apron, floral shears, merit badge, their floral creations in an array of vintage vessels, and amazing photographs of their work. Of course, we can’t reveal everything we’re planning yet – but rest assured there will be even more surprises! 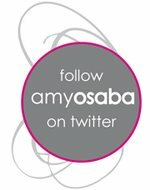 For questions or more information, email hello@amyosaba.com. To register right away, click here. 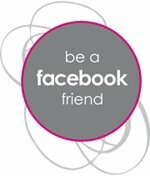 For up to date information about the workshop and other happenings at AO, follow us on twitter, facebook, and Pinterest! We can hardly wait - hope to see you there! Amy Osaba event.floral.design was launched in 2002 and quickly became recognized as one of the leading event design firms in the Southeast. 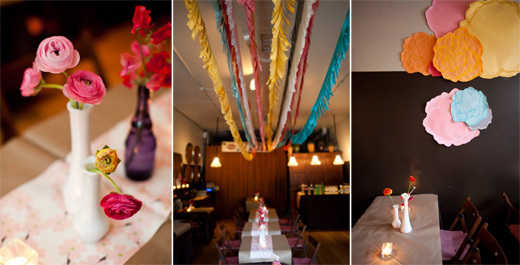 Amy’s theatrical background has undoubtedly influenced her signature style, intuitively using a variety of textures and co-mingling fruits, vegetables, antique vessels and textiles to create unique and yet timeless works of art. 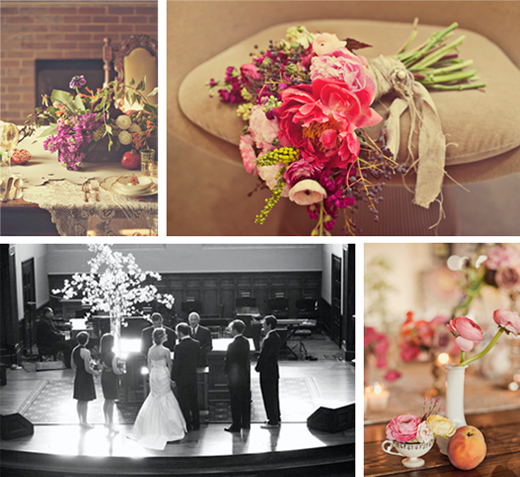 While our emphasis is on designing lush, free, handpicked florals, we are a full event design studio and delight in bringing our client’s entire vision to life. From designing your entire invitation suite, to selecting the perfect linens to creating the right atmosphere through lighting, no detail is forgotten. 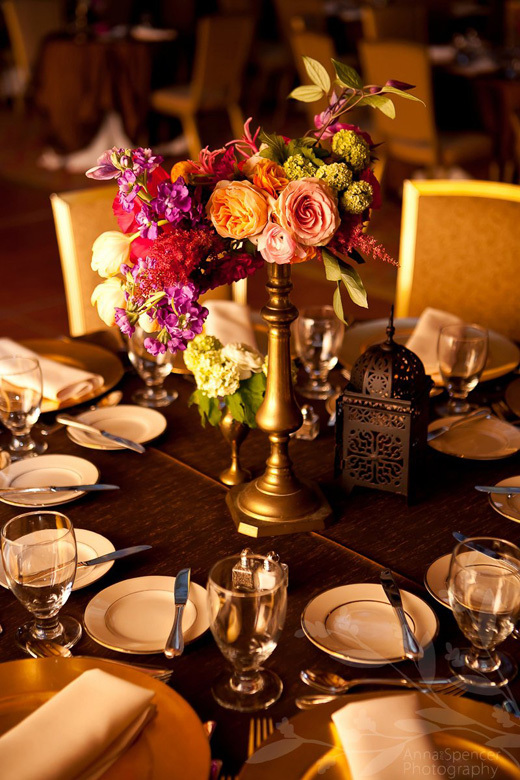 In fact, our entire team has extensive experience planning, designing, and executing events from start to finish. 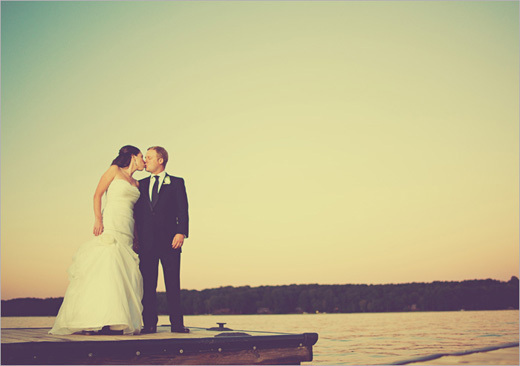 Laurie + Greg's wedding was, in a word, magical. 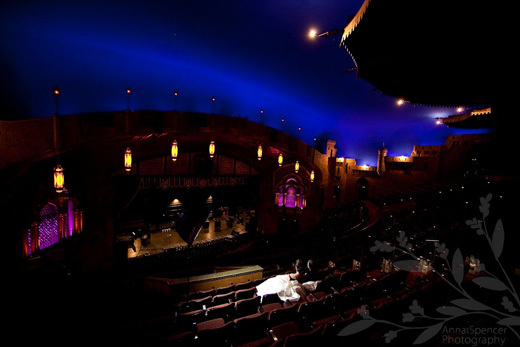 The Fox Theatre makes for such a dramatic setting, so I knew the flowers needed to pack some major punch! 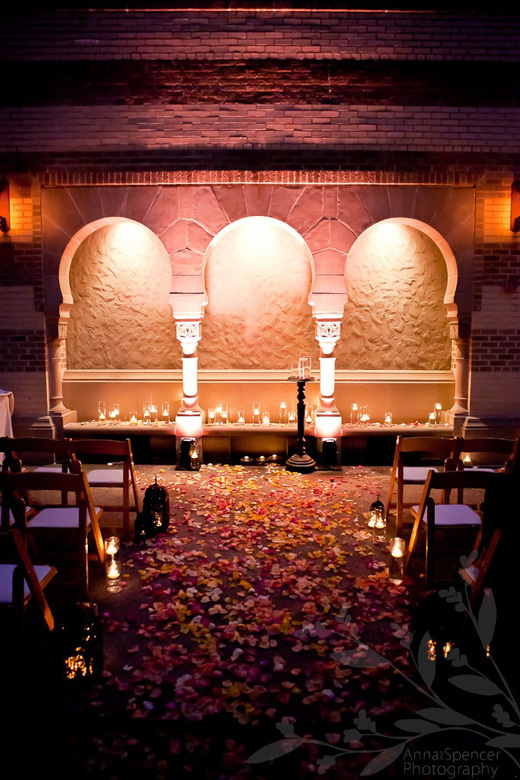 We decided to play up the Moroccan style of the theatre by using antique brass vessels mixed with lanterns and glass, which looked beautiful paired with the bright, bold flowers. 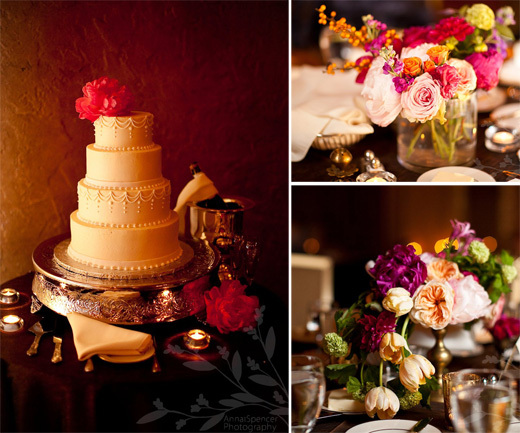 I do love working with a bride who is not afraid of color! 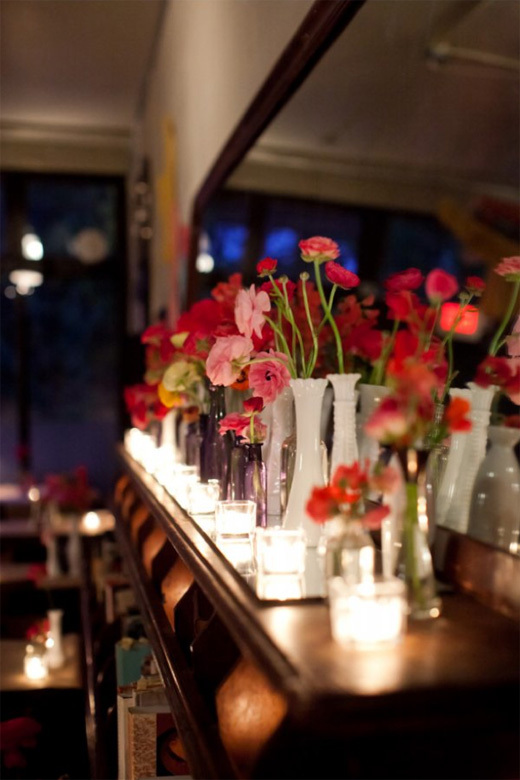 And those peonies…oh, those peonies! 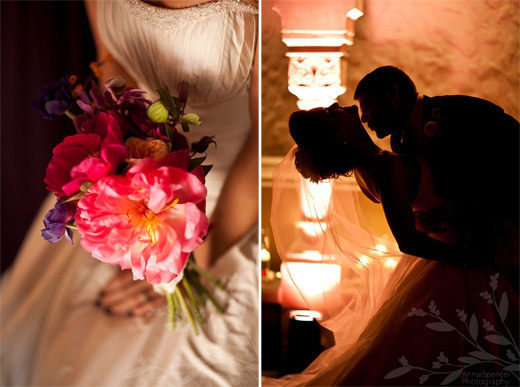 Many thanks to Anna & Spencer Photography for the stunning photographs - I have to say, my jaw dropped to the floor when I first saw these photos. Like I said, magical. Hope you enjoy! Julie + Andy wanted the design of their wedding to be both rustic and elegant, just like their gorgeous venue, the Ritz Carlton Lodge at Reynolds Plantation. 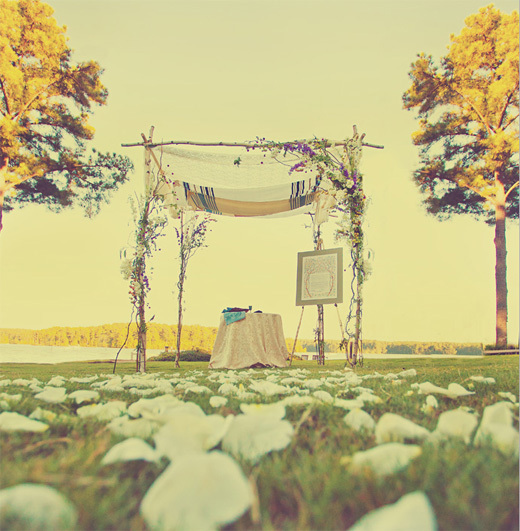 It was a beautiful day, and the chuppah we created for the ceremony is one of my favorites to date. 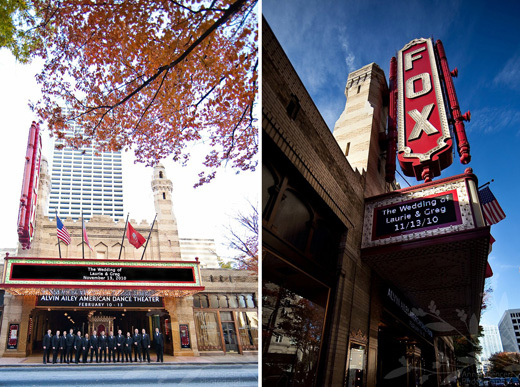 Many thanks to Adam of W. Scott Chester Photography for capturing the beauty of this wedding in such a special way. When Max at Sun in My Belly asked me to put together a creative installation for the cafe's summer season, I jumped at the opportunity. My team and I got busy creating large paper flowers (each individually hand-painted by Erica) and fringe - lots and lots of fringe! 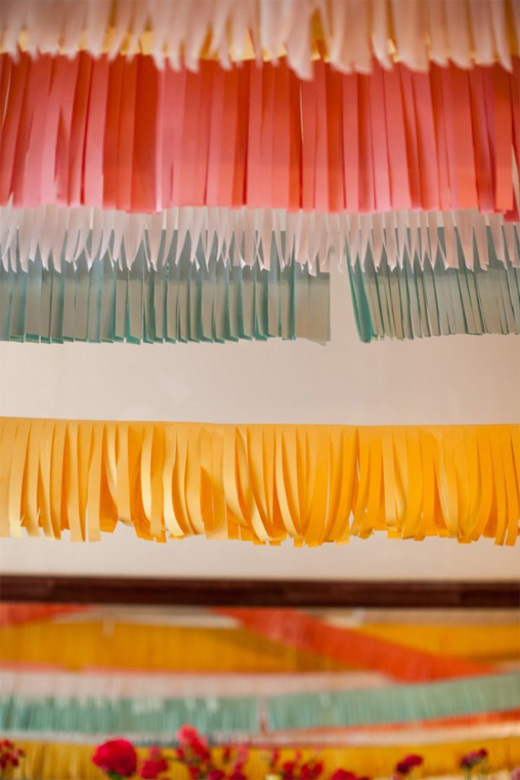 Not only did it create a bright and happy atmosphere for the summer months, but also provided the perfect backdrop for the NotWedding "rehearsal dinner," which was recently featured on Occasions Magazine's blog. And today (!) on Green Wedding Shoes! 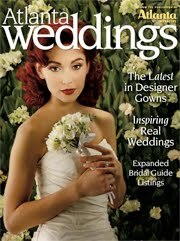 For those of you that aren't familiar with the NotWedding, it is an awesome alternative to a bridal show, because it is just like attending a real wedding, with loads of inspiration and top-notch vendors bringing their A-game. The rehearsal dinner was a mixer and planning session for all the vendors involved, and everyone left super excited for the main event! 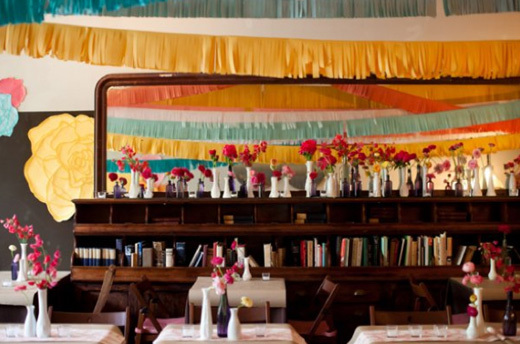 Over the next few months, make sure you stop by for breakfast or lunch at Sun in My Belly and check out the installation, and of course, make your plans to attend the NotWedding on July 21st. 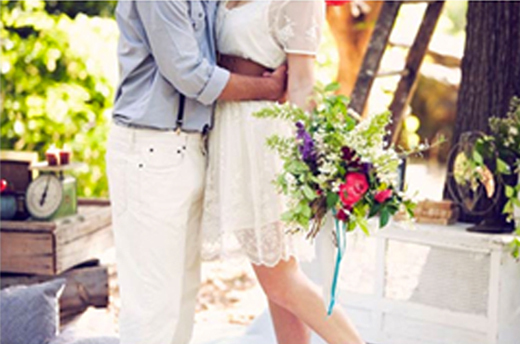 (By the way, did you check out the adorable engagement shoot??) See you there! 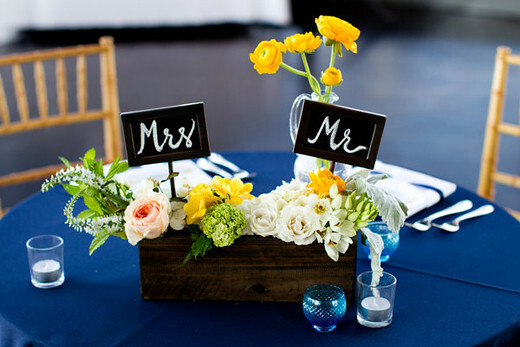 We do flowers that are just left of center: organic, free, a bit edgy, a twist on the traditional; a little bit of fun and a whole lot of love. I truly love the creative process, and being able to see where an idea might take you.